1. about pirates of the caribbean – have you seen where they’ve added the mermaids from “pirates 4”? it’s very quick and minimal, but it’s in the water before that drop. there’s quick lights that flash in the water on each side of the boat, and you hear the mermaids singing. also, maybe you’ve mentioned this in previous podcasts, but you mentioned the woman chasing the pirate men during the scenes. do you remember when it was the opposite? when it was pirates chasing the women? i guess someone complained, or someone felt it objectified women, so they reversed the figures so that it’s now the women chasing the men. 2. splash mountain – love the slow boat ride through the mountain. love the music and colors, just so much fun to look at. about the wait – ugh – it’s the worst because there’s just no air in those tunnels. so i never go on it without a fastpass. about “song of the south,” oh yes, a very unfair bad rap. in fact, it’s very difficult to even find that film anywhere than i guess ebay. about the drop, my kids love the drop and love to make poses. for example, one kid made it a point to bring a book with her, and at almost every photo on the ride she was holding her book and reading. looked great on splash mountain. the only ride she couldn’t pull it off was rocking roller coaster. three times they came out and yelled at her to put it away because she knew the picture was within a few seconds after the ride starts. 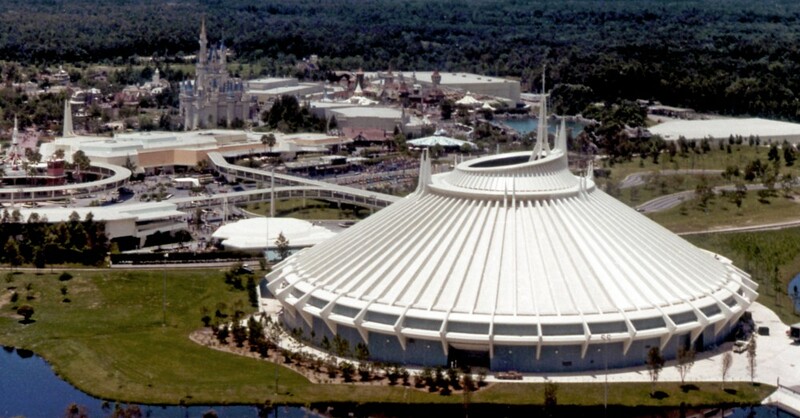 3. about space mountain – totally love it – but i can only do it once, maybe twice each day or i get headaches. two years ago, i made the mistake of having my cell phone in my shirt pocket. we got the track that had an early, BIG drop. as we descended, i felt the phone leave my pocket. i reached out to grab it but did not. it was about 1 in the morning, and i immediately told the attendant at the end of the ride about my phone. she said that they sweep the floor every night and find about a dozen phones a day, and if they find it, then it would be at lost and found, which is at the ticket and transportation center the next day. and it was there, and i was amazed that it worked perfectly fine. I did notice the sirens at PIrates, creepy but a good addition I think. Woah! I’m impressed that you actually got your phone back! I gotta admit that I enjoyed space mountain at Disneyland almost more than the one at the World. Thanks for listening! Thanks for commenting!